The 6th Annual Diversity Health Fair has achieved success again! Our stylish, spring green eco-friendly tote-bags, sponsored by CIBC can be seen all around town! Our program of activities got people moving! 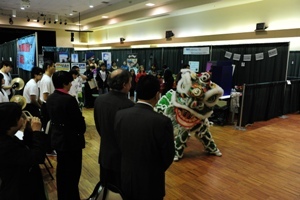 In addition to the fun and interactive exhibitors, we had an opening ceremony with Lion Dancers followed by a day of health screenings, entertainment, cooking demonstrations and fitness classes. All these activities, plus our new outdoor activity tent were full of different, invigorating, interactive groups that support activities for families, seniors and children. The Kid’s Activity Corner, hosted by Vancouver Board of Parks and Recreation, was a ton of fun!! 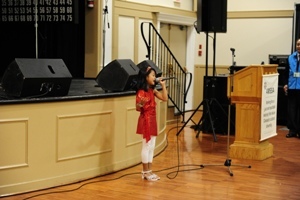 Kaela Valentia, eight years old, singing the national anthem. 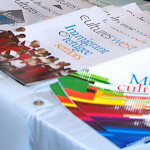 We are grateful to all of the following for making the 2010 Diversity Health Fair the success it was. We couldn’t have done it without you! To all of our generous Donors of Fair Draw Prizes – Thank you very much! Thanks also to the AMSSA Board, staff and Diversity Health Fair Steering Committee for your commitment, teamwork, and passion toward making healthcare more accessible. A big thank you goes out to our wonderful Volunteers!! This year, our volunteers represented over to 20 languages!! Wow!! The success of the Fair depends on these hard working volunteers who ensured you had a warm, welcoming and pleasant visit! We all look forward to seeing you at next year’s Vancouver Diversity Health Fair!! AMSSA member agencies are hosting Diversity Health Fairs in an increased number of BC communities. As identified as one of the main components of the “Building Welcoming Communities: Promoting Healthy Living Across Cultures 2009-10” and with funding from the Immigration and Welcome BC Branch, AMSSA helps organise and support Diversity Health Fairs province-wide. To-date three popular Diversity Health Fairs have been delivered in addition to AMSSA’s Vancouver event: the Immigrant and Multicultural Services Society in Prince George (November 14-15, 2009), the Immigrant Welcome Centre in Nanaimo (May 6th) and Kelowna Community Services Society (May 15th). Four more are planned for Vancouver (May 29th), Maple Ridge (September 11th), Vernon (September 17th), and Victoria (September 25th). 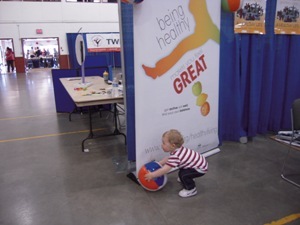 With the theme of Healthy Living and Healthy Weight, a magnetic post card and beach ball were designed to spread the message and were distributed free to all fair attendees. On Wednesday, June 16th, AMSSA will host our third ARC E-Symposium. This event, and a fourth symposium to follow in October, were made possible through a 2010 Dissemination Grant from Metropolis BC. The goal of the symposia is to increase awareness of sector-related research and to allow a forum where settlement sector workers can ask questions and interact with researchers. The upcoming symposium will feature research related to Temporary Foreign Workers in BC and will take place from 1:00-3:00pm in the Fletcher Challenge Theatre (Room 1900) of the SFU Harbour Centre Downtown. Those unable to attend in person are welcome to participate online. Please contact Melissa McDowell at 604.718.2783 or projects@amssa.org to register as space is limited. This summer, the Settlement Sector Support Team at AMSSA will be working hard on a major upgrade to Settlement Net, AMSSA’s online resource library for BC Settlement and Adaptation Program (BCSAP) workers. Our goal is to make Settlement Net more user-friendly and better suited to meet the needs of frontline settlement sector workers. If you would like to share your opinion or suggestions for improvement, please contact Melissa at projects@amssa.org. We will be finalizing our plans for the Settlement Net upgrade in early June and plan to launch the new version of the site in September or October of this year. Fear not, Settlement Net users – there won’t be any disruption in service! The existing version will continue to be available until Settlement Net 2.0 is ready for you. AMSSA’s Melissa McDowell informs PIRS staff about the Settlement Net website. AMSSA proudly presents the new ANCIE (AMSSA Newcomer Children’s Information Exchange), Bulletin. Produced monthly, each ANCIE Bulletin features important topics related to newcomer children through the use of real case studies, the latest research, and useful strategies to support newcomer children. So far we have produced two ANCIE Bulletins presenting an overview of newcomer children and exploring barriers for English language learners in BC. Future topics are planned and will include: Health and Wellness, Early Childhood Education, Refugee Children, Cultural Competence and more. All of the ANCIE Bulletins and access to the research materials are available online at the ANCIE website: https://www.amssa.org/ancie/ancie_bulletins.php. To subscribe to the ANCIE Bulletins, please email newcomerchildren@amssa.org. 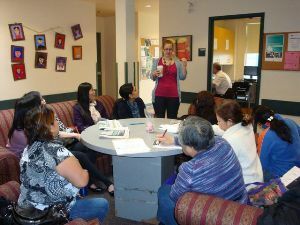 On May 3rd, AMSSA hosted a learning exchange and service development event called Supporting Newcomer Children and Youth: A BCSAP Learning Exchange. The event brought together a broad range of newcomer children and youth service providers, including those involved in the early years refugee pilot project, regular and enhanced childcare, settlement workers in schools (SWIS), youth buddy programs, and youth demonstration projects. Over 65 participants took part in the event, which was held at the Broadway Church in Vancouver. The morning presentations focused on key settlement issues for newcomer children and youth at different stages of development: early years (0-6 years), middle years (7-12 years), and youth (13+ years). Breakout sessions followed, which explored the different needs and service models by age group. The afternoon presentations looked at the rights of the child, as well as findings from the recent Newcomer Children and Youth Service Provider Regional Consultations that were organized by AMSSA and the Office of the Representative for Children and Youth. Breakout sessions followed, which focused on how to better support newcomer children and youth. The event ended with Rishima Bahadoorsingh, AMSSA’s Newcomer Children’s Advocate, providing her reflections on the day. AMSSA would like to thank all of the presenters and facilitators for making the day a success, the planning committee for their help in developing the agenda, and the Immigration and WelcomeBC Branch for their financial support. Safe Harbour is reaching high and has secured a provincial partnership with Canada Safeway Ltd. to have all stores in Safe Harbour communities participate in the program. 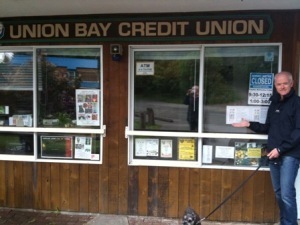 Kelowna and Penticton Service Canada staff, bylaw enforcement officers in Kamloops, employees from Union Bay credit union in Cumberland and on Hornby Island have signed on. DIVERSECity has encouraged the active participation of the Surrey Board of Trade and the Multicultural Advisory Committee at the City of Surrey. We secured broadcast of our TV Public Service Announcement on Shaw Cable in the Lower Mainland, the Okanagan, and on Vancouver Island to gain greater recognition of our vision behind Respect for All. AMSSA hosted the first annual BC Diversity Leadership Expo on April 20th, 2010 that brought together nearly a hundred corporate, municipal and community leaders to share knowledge and learn of successful program models that promote the understanding of welcoming diverse communities. 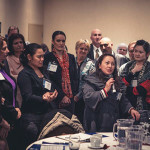 Over the course of a day and a half, Expo participants were introduced to innovative initiatives such as the Burnaby Intercultural Planning Table, a capacity building / community convening initiative developed to provide better sources of information and community connectivity to the multiple stakeholders working to address the needs of immigrants and refugees. Participants also learned about Youth for Diversity, a project coordinated by the Campbell River & Area Multicultural & Immigrant Services Association to develop inclusive youth leaders who role model positive behaviours, reach across differences, and promote a welcoming and respectful community in Campbell River. AMSSA Annual General Meeting – Fast Approaching! It’s that time of year again for our Annual General Meeting. This year, it will take place on Friday, September 24th, from 4:00 – 6:00 p.m. at the Vancouver Museum (Joyce Walley Learning Center) 1100 Chestnut Street, Vancouver. The AMSSA Vancouver Diversity Health Fair has ended for another year and so we bid fare-well to the Health Fair team of Kim, Shareen and Bivianna who have done an excellent job in making the fair a success! Tsering has completed her project work as AMSSA’s Diabetes Researcher and will take a break before deciding what to do next. Shona completed AMSSA’s first multiculturalism expo, and is taking a well deserved holiday in Mexico. Tim returned to the AMSSA Program Director position mid-April, following a four-month leave of absence during which he and his wife Liza adopted Eric, a happy healthy 20-month old boy. Jiana is a co-op student from SFU and is with us for the summer. Becky, former Office Coordinator, landed a role in administration working in a theatre company. … and a warm welcome to Alexandra, our new Office Coordinator!